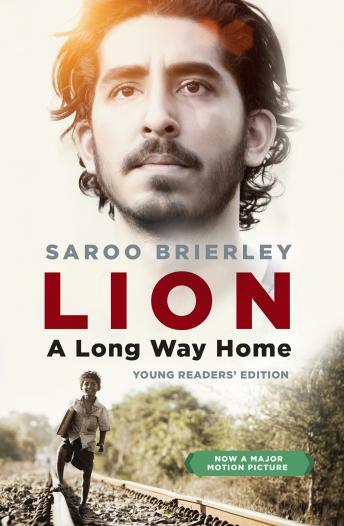 The young readers' edition of the true story that inspired Lion, the Academy Award nominated film starring Dev Patel, David Wenham, Rooney Mara, and Nicole Kidman. When Saroo Brierley used Google Earth to find his long-lost home town half a world away, he made global headlines. Saroo had become lost on a train in India at the age of five. Not knowing the name of his family or where he was from, he survived for weeks on the streets of Kolkata before being taken into an orphanage and adopted by a couple in Australia. Despite being happy in his new family, Saroo always wondered about his origins. When he was a young man the advent of Google Earth led him to pore over satellite images of India for landmarks he recognized. And one day, after years of searching, he miraculously found what he was looking for and set off on a journey to find his mother. This edition features new material from Saroo about his childhood, including a new foreword and a Q&A about his experiences and the process of making the film.